When it comes to the outdoor appearance of your Outer Banks home one of the features you may want to take a look at is your landscaping. If you should decide to hire an Outer Banks landscaping company or a landscape architect there are som e important questions you need to consider before you take the plunge. What style of garden are you considering and what is your budget? What type of plants do you like and how much labor can you afford? What about the type area you live in; will it determine they type of foliage you should invest in? The Outer Banks of North Carolina is a beautiful community to live in year round. Homeowners living near the beach areas may have different landscaping needs than those living in inland areas and communities. Periods of natural dune erosion can occur when there are storm surges. In this case, it may be advisable to install sand fencing as an effective treatment. Homeowners living more inland can invest in more traditional changes; from flowers, trees and shrubs to ornamental decorations like ponds or retaining walls. Knowing how to landscape is an art and landscapers need to be visionaries. If you can find a quality landscape architect, you can vastly improve the curb appeal of your home and add to its perceived value. When people pass through a neighborhood and see a home, the exterior gets a lot of attention. Curb appeal can be an important factor if you decide to sell your home. A beautiful garden landscape design could be the deciding factor that draws prospective buyers in when they decide to take a second look at your home. Your well-manicured lawn, flower beds and creative paver designs could make or break a home purchase. Creating a beautiful exterior usually translates to well-kept interior and home buyers like knowing that the previous owners took good care of the home and the yard as well. You will be able to sell your house quicker and for more money if your landscaping is maintained nicely. 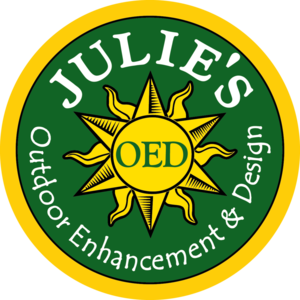 When you are in the planning stages to landscape your backyard and/or front lawn you will have the opportunity to incorporate environmentally friendly designs and products into your yard. This would be a great time to consider a root-drip irrigation system. Once installed, the system saves water by sending water directly to the roots. In addition, this same irrigation system can be hooked up to a recycled water reservoir. This will collect rainwater and grey water from your home (used water from your sinks and laundry) and will utilize it to irrigate your plants and yard. You can also set up new watering schedules via timers to water your beds and yards at the most efficient time. You will conserve water and also save on your utility bill every month. When designing the landscape lighting consider using solar powered lights that store energy during the day and use it to provide light at dusk. As you plant more shrubs, trees, and flowers, know that you are helping remove toxins from the air and keeping it healthy for everyone to breath. Many households are also planting small, organic gardens in their backyards. You can plant the vegetables and herbs that you and your family eat and keep them pest and chemical free. These are just some of the things a good landscaping company can help you achieve with proper planning. None of us seem to have enough time with our busy schedules. Choosing the right landscape designers when remodeling your outdoor areas can make your yard maintenance free and cut down on the time you spend doing the manual labor. If mowing your grass is a chore, consider adding more flower beds or natural areas with trees. Having irrigation systems run and set up with timers will eliminate the need for you to haul hoses over various areas of the yard. When designing flower beds, mix perennials that bloom at different months of the year. This will ensure you have colorful flowers at all times of the year. Be sure to lay weed control paper down so you can cut back on your weeding time. Once everything in your yard is in tip top shape, it is much easier to maintain. You may even consider hiring the landscape design company you chose maintain your garden and yard on a weekly, monthly, or seasonal basis. Living along the Outer Banks of North Carolina is a serene existence in it itself, and remodeling your landscaping to suit your personal taste just adds to your personal outdoor enjoyment. From the design and layout to the end result where you can bask in the true beauty of your re-designed outdoor space, take time in choosing the landscape designer who will bring your vision to life. Choose elements that appeal to you and your family. If you enjoy water, install a small ornamental koi pond. If butterflies make you smile, plant a bright garden with flowers that attract butterflies. The choices are limitless and entirely up to you. The enjoyment and reward you will receive from your landscaping remodel is priceless and will keep you happy for years to come.